CBTVB: DC’s ‘Titans’ TV Show Casts Hawk and Dove! 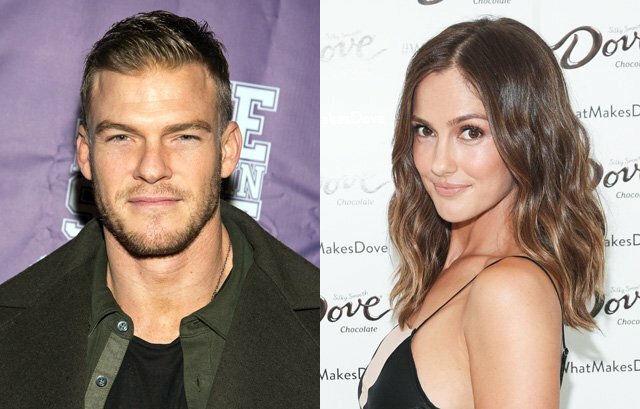 Alan Ritchson (Teenage Mutant Ninja Turtles) and Minka Kelly (Friday Night Lights) have been cast to star as a romantic crime-fighting pair Hawk and Dove in the new Titans streaming series for DC Entertainment. Hawk and Dove are two heroes empowered by the Lords of Order and Chaos who fight crime but have differing views on how to handle the villain. The pair were created by the legendary Steve Ditko and Steve Skeates debuting in DC’s Showcase #75 in June 1968. Hawk and Dove were Ditko’s take on the political divides and counter-culture of the 1960s as he posited a heroic superduo who would have to work out differences between each other before defeating the enemy. Hawk was temperamental and militant with the pacifist Dove teamed up to take down street level heroes. Originally, the pair were the brawling Hank and Don Hall, brothers who often jousted with each other like the popular 60s comedy duo The Smothers Brothers. Later Hank Hall was joined by Dawn Granger in Hawk and Dove (vol. 2) #1, following Don’s death in 1985’s Crisis on Infinite Earths. Dove possesses the ability to sense danger and transform into the force of Order. She gains bird-like characteristics, can produce a blinding white light, and has fighting skills. Hawk has superhuman strength, unlimited stamina, enhanced speed, agility, and durability. Kelly and Ritchson will guest star in the series with the possibility of a spin-off series on the streaming service, which continues to have no name. Ritchson has already been a legendary DC hero on TV when he played Arthur Curry/Aquaman on Smallville in the early 2000s. CBTVB: TNT’s Titans Character List Revealed?